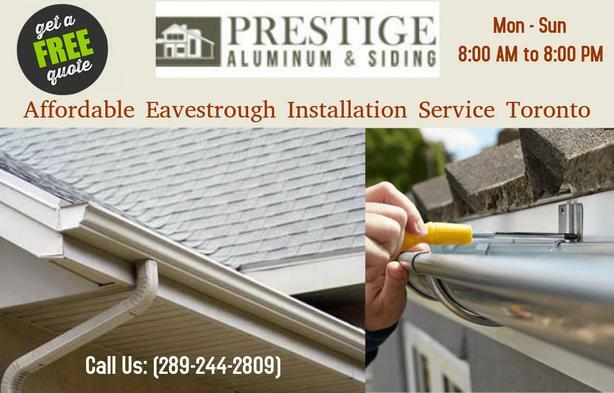 Prestige Aluminum & Siding is the best eavestrough installation service provider in Toronto, ON. Our highly-trained eavestrough installation team serve both residential and industrial clients. Our main goal is to provide full satisfaction to property owners in Toronto and its surrounding areas. Our inspection team members are not only established but also suggests the matching Eavestrough as per your property architecture. Call us today (289-244-2809) to get a free estimate. Visit our website to learn more.